Auto Expo 2014 is a huge success despite of the venue location. More than 2 Lakh people already visited this grand event, which brought all the automakers, bike, bus and truck manufacturers together. 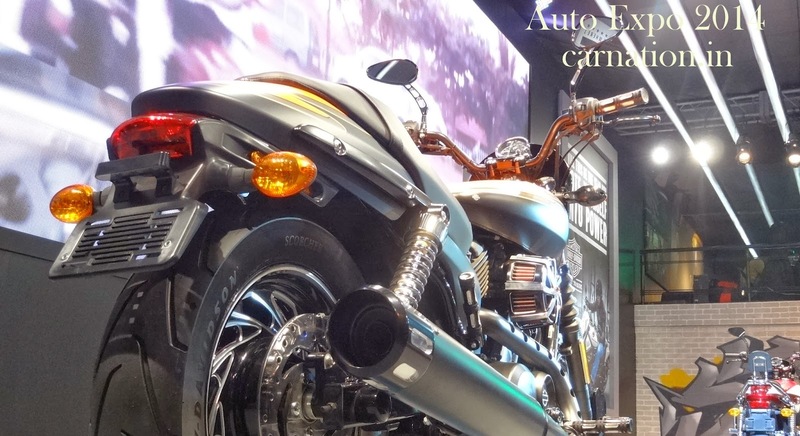 Auto Expo 2014 is one of the largest automotive events in the world. Supercars, super bikes, trucks, buses, food, music, booth babes, lights and of course biggies from Bollywood, Cricket and other celebrities made close appearance in the Expo. 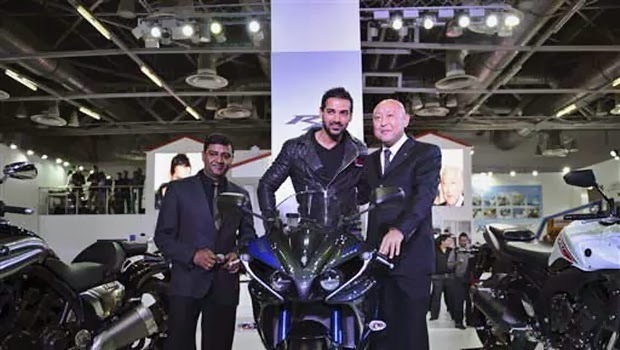 Known as the perfect biker boy in B-town, the heartthrob visited Yamaha stall in the Auto Expo 2014. During his interaction, John congratulated Yamaha for the exciting line up. The extension of contract between the star and Yamaha was also announced in the show. The ‘Size Zero’ star from Bollywood was at the Auto Expo 2014 to promote India's first supercar concepts like Tia and Eleron SUV. The B-town superstar posing on the top of Range Rover LWB bonnet is surely a crowd puller in the first day of Auto Expo 2014. Priyanka Chopra is also the brand ambassador of two-wheeler Hero Pleasure. 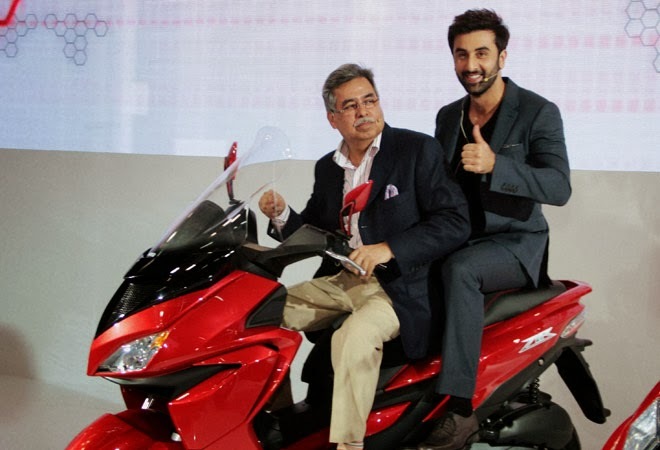 The ‘Rockstar ‘of Bollywood made a close appearance in the public to promote Indian two-wheeler brand Hero Motocorp. 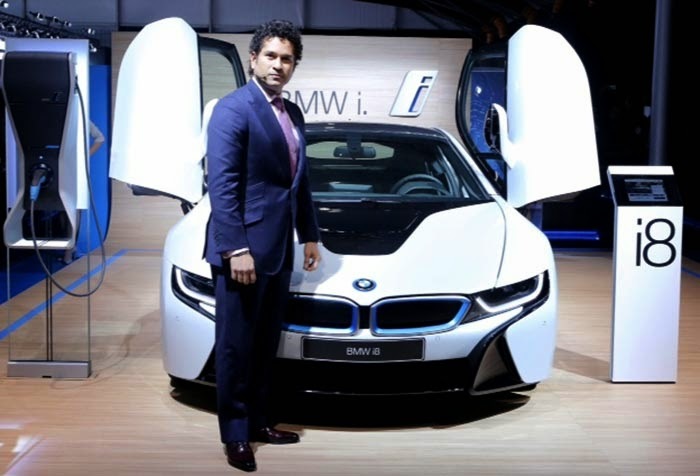 The legendary cricketer unveiled BMW’s brand new hybrid concept i8, which will be available in both petrol and electric options. Sachin Tendulkar is the perfect choice for a brand that exudes class, dignity and style.